In October 2016, LCCG bought AXA Wealth International and appointed Chaos to establish the brand strategy, brand DNA, naming, trademarking and research, and look & feel. Following this, we rolled out the brand across all printed collateral, office interior, responsive website and advertising campaigns. Working with a select client stakeholder team and strict legal deadlines, Chaos explored the brand’s messaging, USPs and its appetite for change in a series of brand workshops along with a competitor review. From this insight, Chaos created the new brand DNA to reflect a stronger brand positioning and purpose from what existed previously. Chaos undertook name-storming, client research and trademarking services before finally the new brand name and tagline emerged: "Utmost. A wealth of difference." "They are incredibly adept in understanding our market, our requirements and the brand we were looking to create - even when we didn't know what we wanted ourselves." 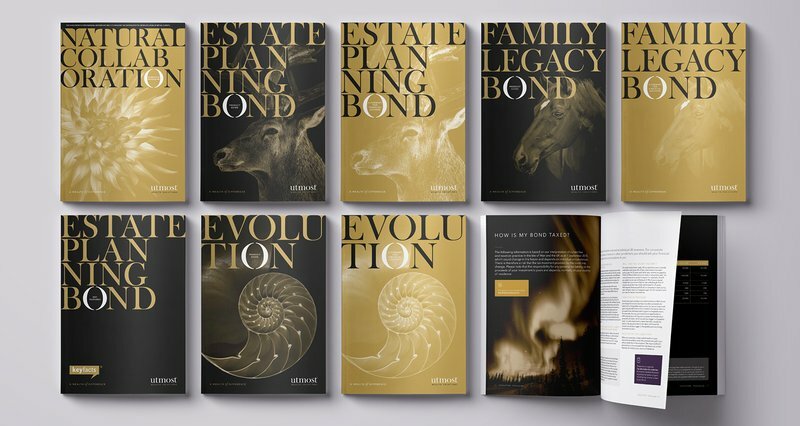 Utmost needed an intergrated advertising campaign that would position them at the forefront of advisers and clients' minds when seeking wealth solutions. Targeting key publications online and offline, Chaos created a campaign that would resonate with the two audiences, creating brand recognition and recall. 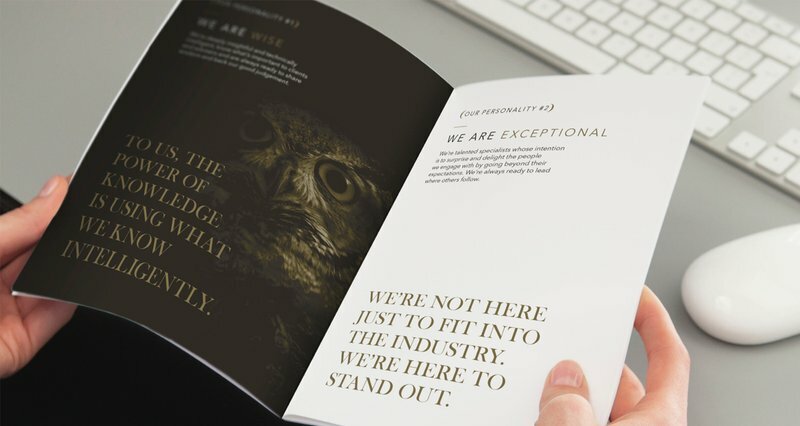 By harnessing the key strengths and qualities clients and advisers seek, we unashamedly launched who Utmost were and what they stood for in a powerful and unique way. From the success of phase one, Chaos have launched phase two which is running in print and online throughout 2017-18, sharing with the industry how we make a wealth of difference. Using our new brand DNA to namestorm, Chaos proposed Utmost Wealth Solutions - a name and identity that is a step ahead of most. Using typography to create a vehicle in the name and identity to reflect and emphasise the wealth of difference, Chaos paired this visually with 'Awe Inspiring' nature to reflect the ‘rare’ world of HNW audience in a visually rich and striking way - knowing that HNW clients resonate with real life images. "Every person we've worked with at Chaos has been of the highest quality and their creative input & outputs have really delivered the WOW factor we were wanting." 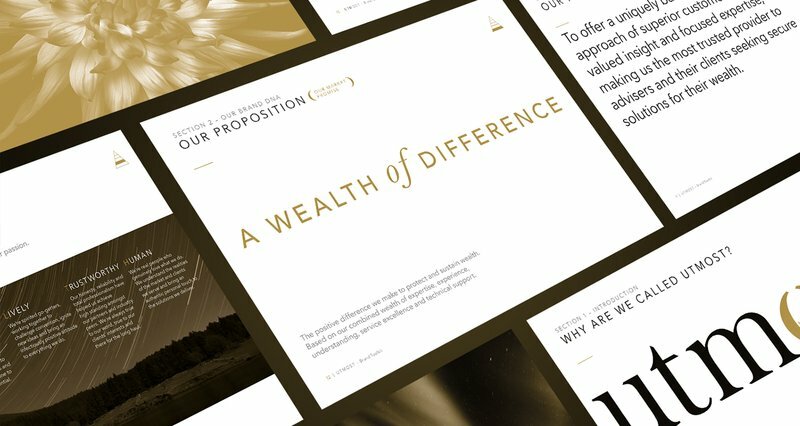 In the preparation for the separation with the AXA group, Chaos needed to design a website for Utmost Wealth Solutions that gave them standout in the market place and positioned them as a major player for the adviser community. Taking the framework from the pre-existing website, Chaos reskinned the website to update the branding and bring the creative in line with the new visual language. Following a successful launch, Chaos are now working closely with Utmost Wealth Solutions to clearly define their digital strategy going forward. 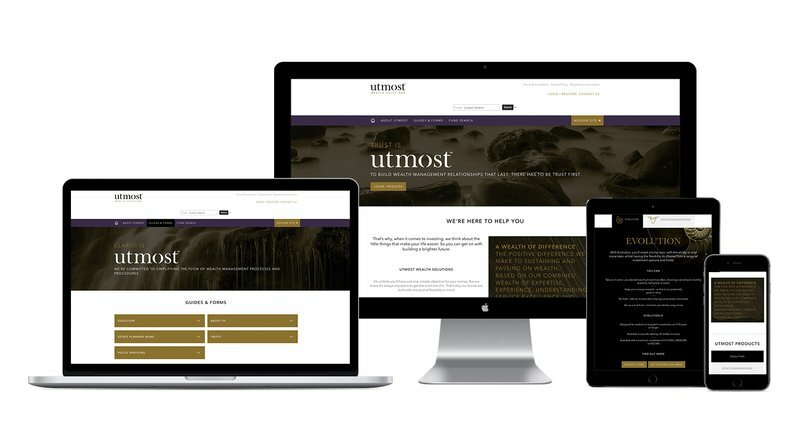 Utmost Wealth Solutions required their marketing communications to be updated with the new branding and visual language. Chaos started by creating a suite of literature that would instantly stand out against key competitors and provide a clear structure to the literature hierarchy going forward. 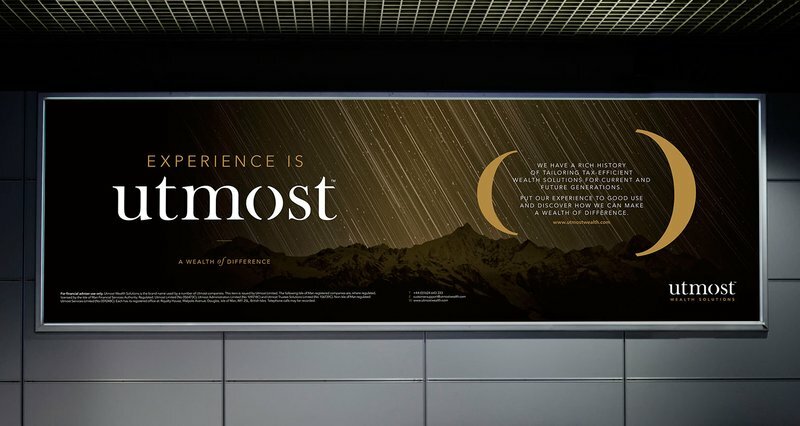 Using awe inspiring imagery throughout the literature, Chaos created a premium look and feel that could be rolled out across all marketing collateral, from event stands, banners to simple merchandise. In preparation for the internal brand launch, Chaos created a Hearts and Minds document that explained the new brand DNA and proposition. This, accompanied by a new corporate brand video, helped inspire and educate the staff on the values of the company going forward, introducing them to the new brand. Internally, Chaos helped roll the brand out across merchandise, office interiors, screensavers and much more!